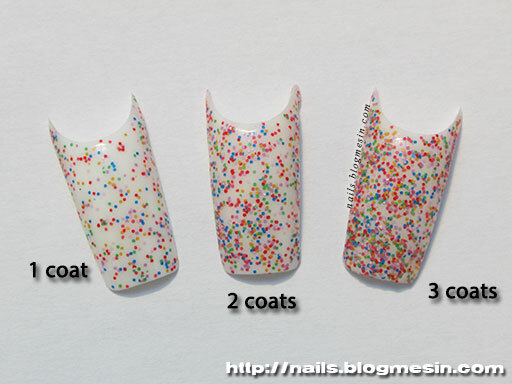 Today I have for you very simple and fast nail design. 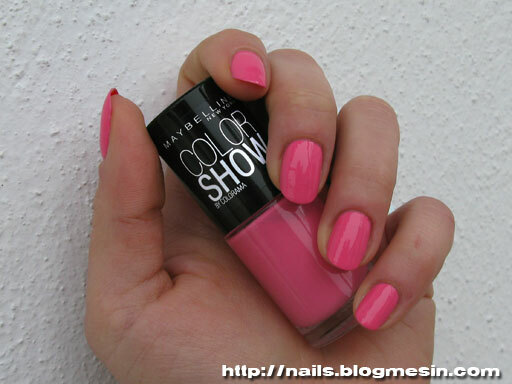 Recently I bought three nail polishes which are very good for spring and summer. I wanted to see how these colours look together. Base colour is Maybelline Cool Blue. Green dots are made with Maybelline Pow Green, pink ones with Maybelline Pink Boom. 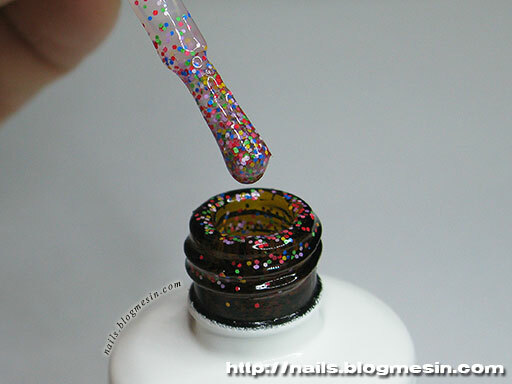 For the dots I used a dotting tool. 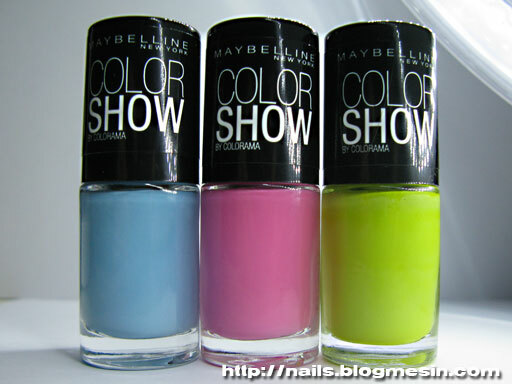 Today I have for you swatches of Maybelline – Color Show – Cool Blue (651). 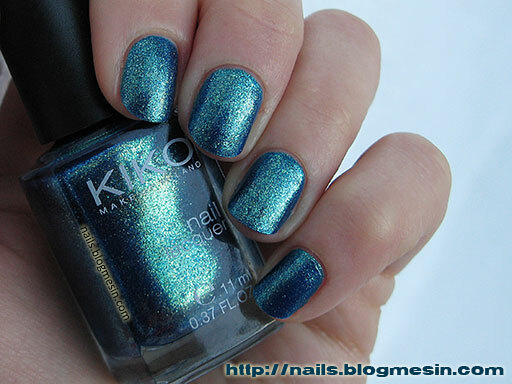 I am a huge fan of blue nail polishes so when I saw this one I knew that it must be mine. When I painted my nails with Cool Blue I fell in love with this shade. 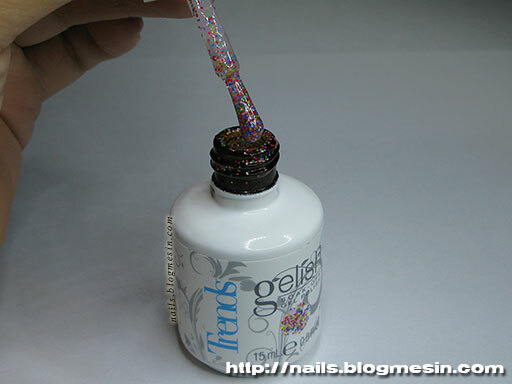 It has creme finish without any glitter or shimmer. Just pure blue! The formula of Cool Blue is similar to the two other polishes I have from this collection (Pow Green and Pink Boom). It is a bit too thick, but application is not bad. The difference is that you need only two coats to get beautiful, even coverage. Actually if you are very careful when painting (and lucky) then one coat is enough. On the photos my nails are covered with three coats of Cool Blue. I wanted to check if there is any difference between two and three coats. I don’t see any. 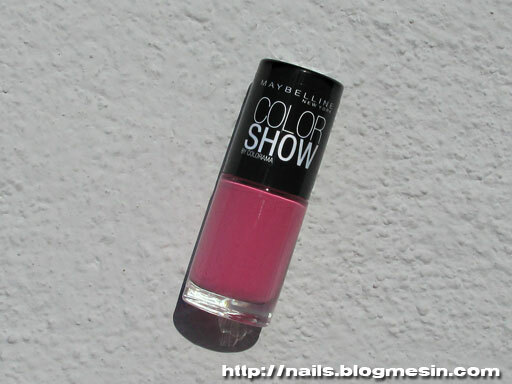 Today I have for you swatches of Maybelline Color Show – Pink Boom (262). Do you like Barbie Doll kind of pink? If yes than this colour is for you. In the bottle Pink Boom looks like this. This polish has a strong colour and a creme finish. I must say that I cannot wear this kind of pink polishes because I have the feeling that everybody are staring at me (but tons of glitter and huge rhinestones on my nails are fine). 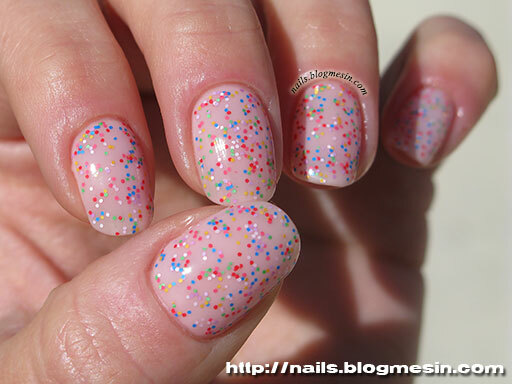 On the photos my nails are covered with three coats of Pink Boom. Two are not enough to get a good coverage. The consistency of Pink Boom is a little bit thick, but application was not bad. Below you can see the picture of Pink Boom in cold artificial light. Overal it is a good colour for the summer, but only if you love this kind of flashy pinks.